The moment you set foot on Nirvana Laut Private Island Resort and survey the lush green rainforest overhanging the wide open beaches, you'll wonder why it took you so long to find this place. 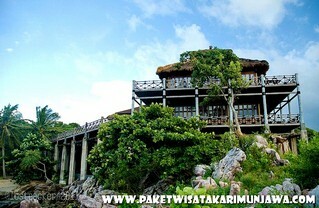 Nowhere else in Indonesia can you find such harmony with nature. 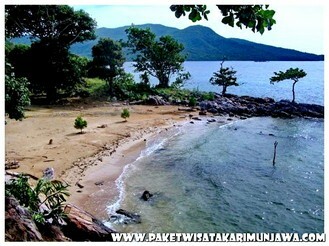 Unlike Bali and other destinations, Karimunjawa offers you the perfect mix of nature with luxury. Our staff here specialize in giving you that personal touch that other commercial resorts can not. The virgin beaches along the 27 islands in the group are home to 64 different types of coral reef, 290 species of coral fish, 7 species of kima (giant clam), 3 species of turtles and other marine biota, including sponges, soft coral, and anemone. 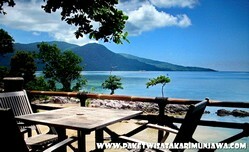 Making this one of Indonesia's most pristine diving destinations. Nirwana is SAFE ! Here on Karimujawa we are Malaria and Denghy Fever free area. Our beaches are quiet waters and safe for young children and non swimmers. There is no crime on Karimunjawa ! Right down to the ice you drink and water we cook in, is all from safe bottled drinking water. Refreshments including coconuts grown on site prepared into delicious cocktails. Special packages are available for seminars, schools and private organizations and sporting clubs, reunions, weddings and all sorts of PARTIES. 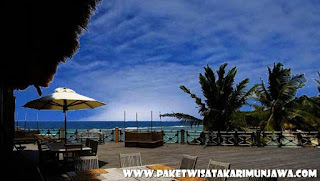 Please be sure to book in advance and let us prepare a tailored package especially for you. Group Tours from overseas - please try to advise a minimum 6 weeks prior to your eta. 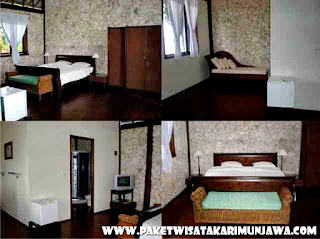 Nirwana Laut offers both fully catered packages and self catering. 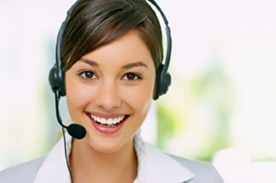 Our booking staff will confirm this with you during the booking process. On arrival you will receive a refreshing welcome drink that you can enjoy in the spacious lobby, on the decking overlooking the beach and ocean or in one of the private gazebos on the beach. 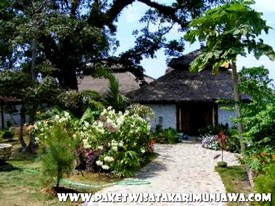 For fully catered packages we offer a buffet breakfast and lunch which is a mix of both western and Indonesian dishes. Afternoon tea and coffee with snacks is available in the lobby each day.Our specialty is our freshly caught fish barbequed and served with a mixture of vegetables. Harga diatas menggunakan kapal KMC Kartini kelas bisnis apa bila anda ingin upgrade ke executive (VIP) akan di kenakan biaya tambahan sebesar : Rp.75.000 PP.